Are you looking for a Harry Kane Impersonator? I'll be happy to help you. Thanks for visiting! Are you looking for a Harry Kane impression? 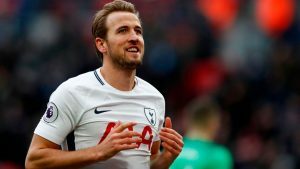 Harry plays for my beloved football club, Tottenham Hotspur and is a prolific goalscorer, breaking Alan Shearer’s record for goals scored in a calendar year. I can offer you an accurate impression of Harry for your web video, tv advert, animation or radio advert. As a professional voiceover artist and celebrity impressionist, I’m often asked to impersonate sports personalities, footballers and managers and a new addition to my list is Harry Kane. He has a very distinctive speaking style and a unique way of pronouncing his S’s. I’ve dissected Harry and have finally nailed his voice, after studying a lot of his interviews. Take a look at this video! If I can help you with my impression of Harry Kane, then please let me know and I’ll be happy to discuss your project.